Chris oversees Forrester’s portfolio of evaluative research. Specifically, he manages Forrester’s Wave and New Wave research as well as Forrester’s industry-focused B2C Waves. 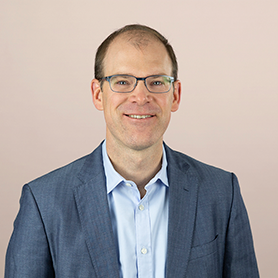 In this role, Chris works with analysts and research directors to create Forrester’s evaluative research plan, oversees methodology considerations, and works to improve the quality and effectiveness of the entire evaluative research portfolio. Previously, Chris has served as research director on Forrester’s application development and delivery team and on Forrester’s sourcing and vendor management team. Prior to his role as research director, Chris worked as a consultant and analyst at Forrester. In these roles, he focused on helping companies create innovation and growth with their third-party services providers. His research covered topics such as digital business transformation, innovation management, co-creation, new technology purchasing patterns, emerging technology management, and shifting services marketplace dynamics. Chris received his B.A., with honors, from Middlebury College and his MBA from Georgetown University. CIOs need to raise the game of vendor management. To date, they've been too focused on procurement, cost savings, and managing existing relationships. To support the need for greater innovation, speed, and customer responsiveness, vendor management needs to separate from procurement, own key processes and the sourcing strategy, guide others who engage with vendors, and consult with business users who are making technology decisions. This report describes how vendor management needs to change to support the business technology (BT) agenda. Technology-sourcing strategists face increasing pressure to support organizational goals of innovation and disruption in a digital world. Most organizations are still in the early stages of their journey to digital — and they struggle to navigate a quickly changing landscape of technologies that require new skills. For organizations struggling with emerging technologies in a digital world (which most are, given these nascent technology markets), partnering to gain new skill sets from suppliers will be the quickest and lowest risk way forward. Yesterday's methods of lengthy business-case development and long request for proposal (RFP) cycles will not succeed in the new, digital world. Sourcing executives must approach digital initiatives through a more agile, iterative sourcing strategy that helps business executives move quickly from concept to goals to action. This report discusses how leading-edge organizations set the sourcing strategy for digital disruption and for engaging with technology and services suppliers in these initiatives. Your company's core relationship with its customers is being transformed by technology. In the "age of the customer," organizations that harness digital technologies to understand and engage with their customers will move faster, act smarter, and operate cheaper than their competitors. Today, most marketing technologies get sourced by marketing organizations or in a self-service manner, with limited involvement from sourcing and vendor management (SVM). As the dollar and strategic value of marketing technologies grow, however, we will see more centralization and sophistication in sourcing processes that help marketing professionals manage the costs, risks, and benefits of their major technology purchases. While sourcing professionals will be able to apply many of their traditional practices, sourcing these technologies involves a fundamental shift in the traditional SVM strategy: away from strict cost-cutting and risk mitigation and toward supporting and serving the end customer and business initiatives. Technology vendors increasingly focus on using external sources to bolster their company's innovation. Driven by globalization trends — and a realization that they can't manage all of their innovation in-house — vendors are seeking to generate more innovation through small acquisitions, partnership programs, and venture investment. As a result, Forrester has seen a renewed focus on identifying the emerging trends and technologies that will affect technology markets over the next few years. To highlight some of these trends, we've identified several companies that we think are worth noting for their unique business model, their growth potential, or their relevance to broader tech markets. This report briefly describes companies in diverse emerging areas like Web 2.0, green IT, mobility, collaboration, and interactive marketing and explains why we think these companies will be noteworthy in 2008 and beyond. The market for traditional IT services will change dramatically over the next five years as more vendors realize the benefits of aligning their technology solutions with the needs of business customers. Unlike other technology trends that come and go, the emergence of a differentiated business technology (BT) marketplace will be characterized by evolution — involving powerful long-term technology trends and near-term technology disruptions. In the next five years, the market for such services will become increasingly competitive as more IT vendors seek to push themselves deeper into the core processes of their customers by aligning with business needs. Our study of four leading IT services firms that have adopted a business focus in their strategies, products, and go-to-market approaches reveals that companies are finding new ways to create alignment with business customers— and in the process, expanding the definition and limits of the technology marketplace. The wide-ranging popularity of our first "Hot Companies To Watch" document, published in April 2008, highlighted a few important facts about technology strategists. First, it reflects the high level of interest technology professionals have in understanding new trends, new business models, and emerging technologies. Second, it supports Forrester's belief that technology professionals are under intense pressure to innovate and are looking to market sources to help them identify and prepare for "the next big thing." This Q2 2008 "Hot Companies" document follows the same structure as the first, describing several interesting companies in diverse areas such as risk and compliance, virtualization, innovation management, and marketing; it also strives to explain why these companies will be noteworthy in 2008 and beyond. Forrester used its vendor positioning review methodology to evaluate 10 leading IT services and outsourcing providers across 14 criteria and three service domains and determine where they are currently positioning themselves on the continuum between information technology (IT) and business technology (BT). We found that most providers are still positioned as solution vendors, but some companies are close to business technology vendor positions. Overall, we found that many companies still have gaps between their corporate positioning and their positioning at the level of individual service offerings. In this report, we illustrate how IT services provider strategists and their marketing colleagues can use these insights to improve their own positioning. Debates over the outlook for the leading Indian IT services providers have taken place for years, and the last year has been no exception. As these companies look to 2010 and beyond, they can be satisfied with their strong progress within key client accounts, even in the face of continuing questions about rupee fluctuations, staffing attrition rates, and the evolution of nonlinear growth models. Receiving less attention in these debates, however, is the long-term strategy of these providers, where questions remain about how they will develop their services offerings in a rapidly commoditizing, and increasingly competitive, IT services marketplace. This document reviews the strengths, weaknesses, opportunities, and threats (SWOT) for Infosys Technologies, Tata Consultancy Services (TCS), and Wipro Technologies, with a focus on the development of their value proposition to business users. Our findings show that while each company is investing in innovative new services, each needs to tie its strong capabilities to improved marketing programs in order to compete with larger rivals.